This Magazine Rack has 6 Pockets for Holding Many Items! Adjustable Display! 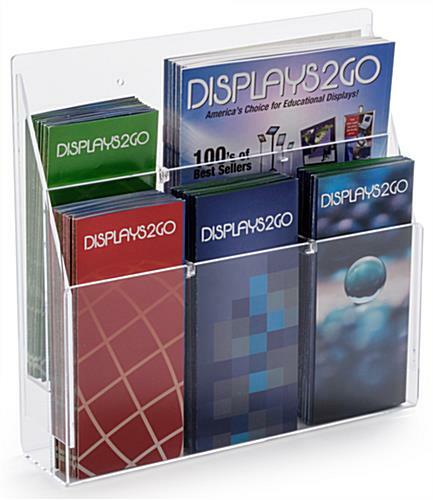 This magazine rack is a versatile, upscale unit that can be used as a countertop or wall mount piece to display your information. 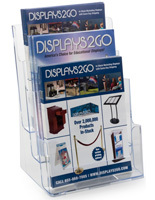 As a dual option holder, it has sturdy, removable peg dividers to configure the pockets for either 4" brochures (4 1/8" max width) or 8 1/2" wide magazines or packets (8 5/8" max width). 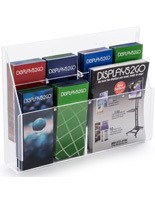 Simply snap-in or snap-out the dividers to reconfigure the pockets. The back compartment is tiered up 2 3/4" over the front compartment. Wall mounting hardware and extra pegs are supplied. 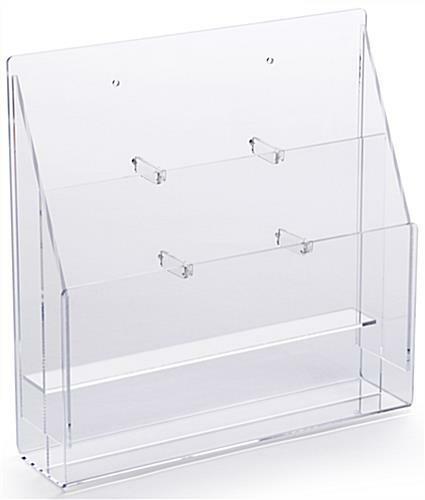 Single sheets or papers will not stay upright in this magazine rack. 14.0" x 13.8" x 4.8"